TotalVision EyeCare is Our Optometry Practice in Manchester, CT! 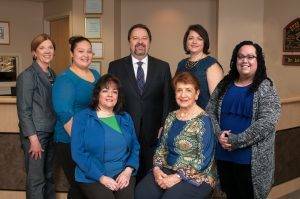 TotalVision Eyecare Center of Manchester is a private Optometry practice directed by Dr. Lance Alpert, with a staff of 5 Optometric technicians and 1 Optician. For over twenty-seven years we have been taking care of our patients with personal comprehensive eye care, exceptional service and the highest quality contact lenses and fashion eyewear. We offer the latest technology in the diagnosis and treatment of vision and eye health conditions. Regular eye examinations are an important part of maintaining your best possible vision and eye health. Call or email our eye exam team for an appointment with our optometrist today. We are now in our 30th year of taking care of all your eye care needs.